The I-15 North of Brigham City consisted of widening 26 lane miles of road widening on I-15 from Farr West to Brigham City, Utah. 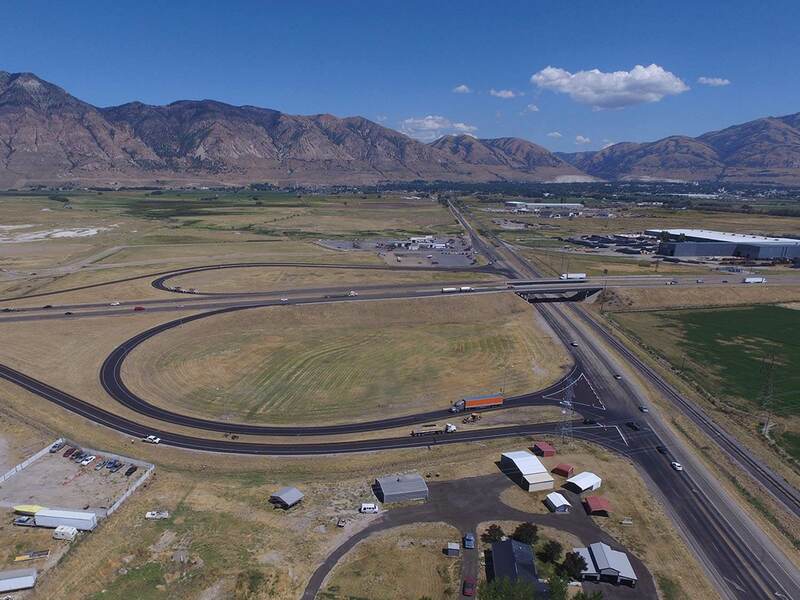 This project included the widening of 8 bridges with new drainage, pipe lining, new retaining barrier wall the entire 13 miles corridor and reconstruction of the Port of Entry in Box Elder County. The pavement section was 6 inches of road base, with 3 inches of HMA, and 9 inches of PCCP. All pavement markings removed and replaced as part of a large change order. There were additional change orders for a bonded wearing course on the last 2 miles of the project the full width of I-15. The total project time bid was 270 calendar days. Geneva Rock achieved substantial completion in 240 days at a daily rate of $30,000 per day incentive.